If you have seen our prototypes for the new Graphiti Tactile Touch Display, you’ll know why we are so excited about it, but it is not the first electronic graphics tablet from APH. 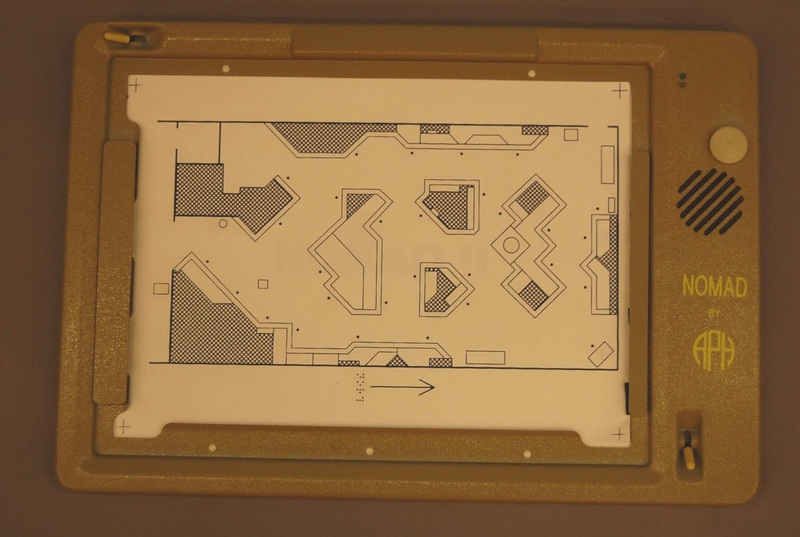 NOMAD by APH was a talking touchpad device for use with tactile graphics, introduced in 1993. 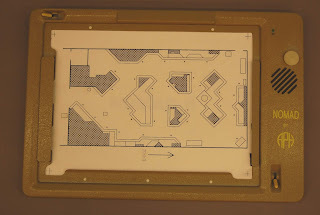 The pad connected to a personal computer and included software for creating files of descriptions of tactile graphics. The user touched tactile graphics placed on the touch-sensitive pad and listened to voice-synthesized speech descriptions. An Australian, Don Parkes, came up with the original design at the University of Newcastle. Parkes’ original prototype, which we also have in the museum collection, used the guts of singing greeting cards to represent how touch could trigger audio content. Quantum, a company based in Australia, made the much more sophisticated electronics for the actual device. APH vacuum formed the plastic case and assembled the device using our own tooling and assembly methods. APH also developed a unique silk screen printing process to produce the tactile drawings. Caption: The gray NOMAD case was about 16 x 23 x 2 inches. The graphic on this example is a map of the APH Museum.